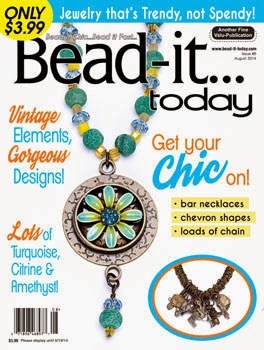 Every month the Art Bead Scene challenges their readers to create jewelry inspired by the featured artwork. 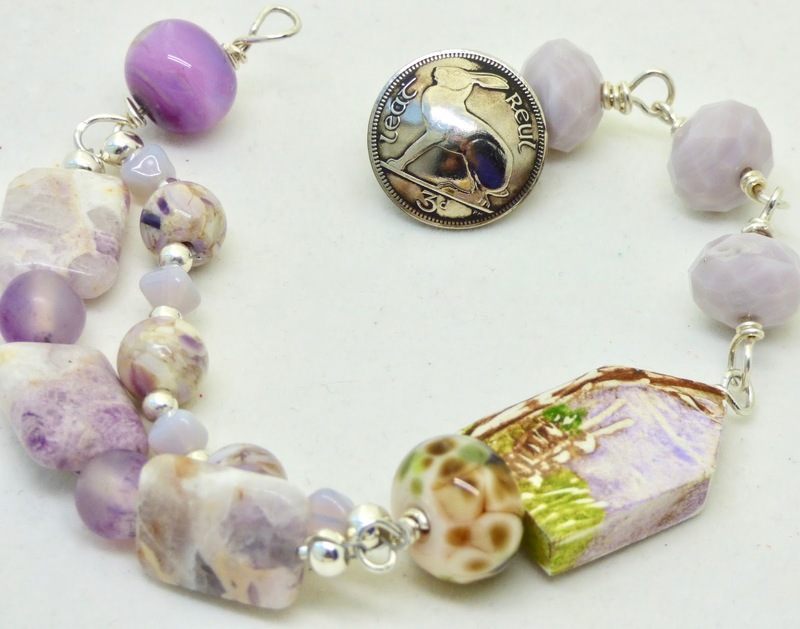 The only rule is that you must use at least one art bead in your piece! This month's inspiration piece is perfect for Christmas time. 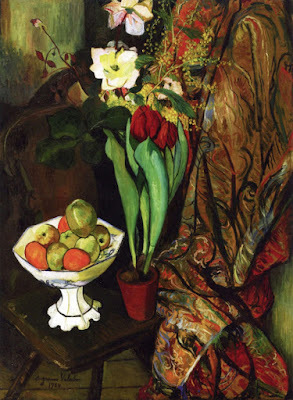 I love the reds and greens in "Still Life with Tulips and Fruit Bowl" by Susan Valadon. Suzanne Valadon (1865 - 1938) was a French painter and artists’ model who was born in France. In 1894, Valadon became the first woman painter admitted to the Société Nationale des Beaux-Arts. I used a lampwork bead with deep red, olive green and navy blue in it. I added a handmade green head pin and a brass bead cap to it. I used red glass beads in the necklace to brighten the color palette. I spaced the green blister pearls with small brown pearls. I also used jasper and special a handmade fiber and paper bead of my creation. I included a pretty polymer clay red rose art bead by Leah Curtis. I love how the necklace turned out. It is available for purchase HERE. I think it would make a very special gift. 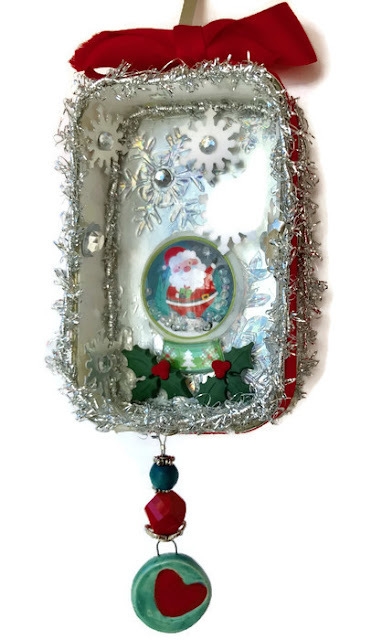 Welcome to the Art Elements Christmas Blog Hop sponsored by Art Elements. 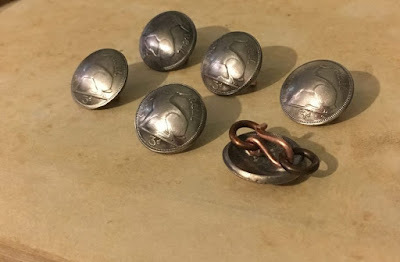 Anyone can join in this challenge and you can make your ornaments from any material you please and in any style you like – it just has to be hand made. The goal of the challenge is to have fun and maybe be inspired to try something new and make something different. I have been saving Altoid tins for a number of years. I like to have them on hand to ship delicate pieces of jewelry and I store bead mixes in them too. Recently, I had been toying with the idea of making Christmas ornaments from them. 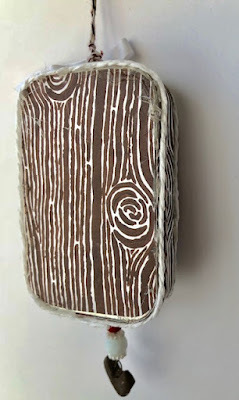 I have collected a few ideas of what other folks have done with Altoid boxes here on Pinterest. There are also several tutorials there. After gathering ideas and reading tutorials, I decided that my Altoid tin ornament will be centered around some cute owls that I found on a Christmas card given to me by a dear friend in the 1980's. I used that card as the background on the ornament and to cover the back and sides of the tin I used some paper with a wood pattern that I had on hand. I dug into my collection of art beads and a ceramic with a heart on it. I added a few beads to it. I used beading wire and crimp beads to connect them. Before attaching them to the Altoid tin I used a hole punch and placed two small holes which I centered on the bottom of the tin prior to attaching any paper to the tin. I opened a jump ring and inserted into the two holes, and then closed the jump ring. This is where I attached my strand of beads. I then covered the inside of the tin with part of the card. To cover the bottom and sides, I used wood patterned paper. Modge Podge was used to adhere the paper to the tin. I used scraps of white trim around the edges and added a snowflake that I made from paper. I also added a tiny tree and owl that I found at the store. The final touches to the ornament include a strand of white and brown twine that I ran around the sides and up to the top. This twine serves as a way to hang the ornament. I also added a white bow at the top. 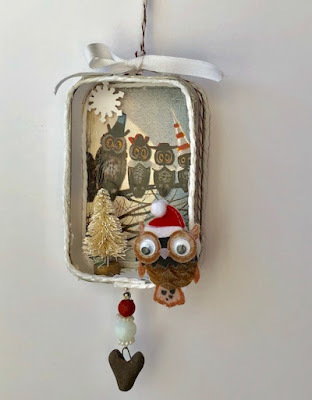 I made 2 ornaments using this owl card. 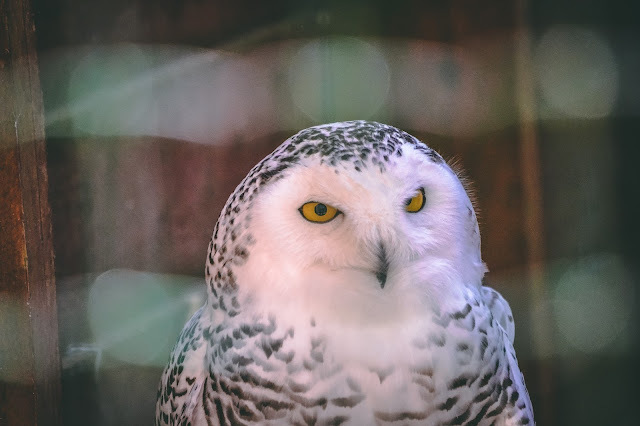 I plan to give one of my friend that sent me the card in the '80's for her family Christmas tree and one to my daughter who loves owls. Be careful what you send me! It just may make it back to you. 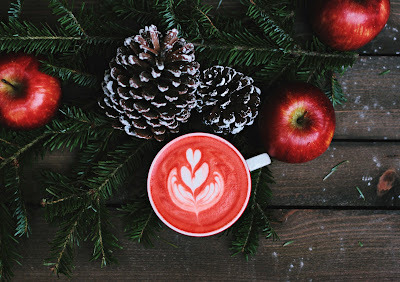 Now go and grab a hot beverage and sit back and enjoy seeing what ornament other folks made for this blog hop. A special thanks to Lesley Watt for organizing this. 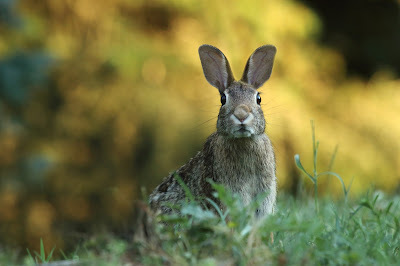 A visit to the blogs and comments are appreciated. 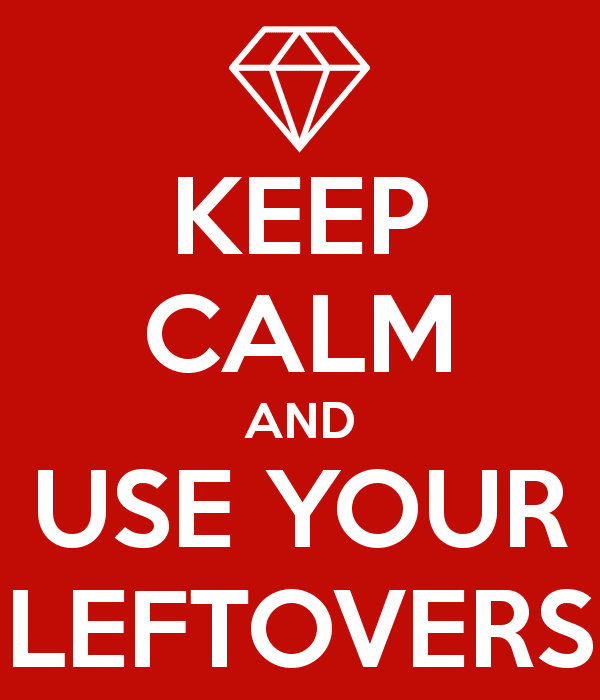 We're All Ears :: 3rd Annual Use Your Leftovers Challenge! Welcome to the We're All Ears 3rd Annual Use Your Leftovers Challenge. The directions began with a request to take a picture of my bead table. I hate to show what it looks like. It is amazing I can find anything on it and sometimes I can't. 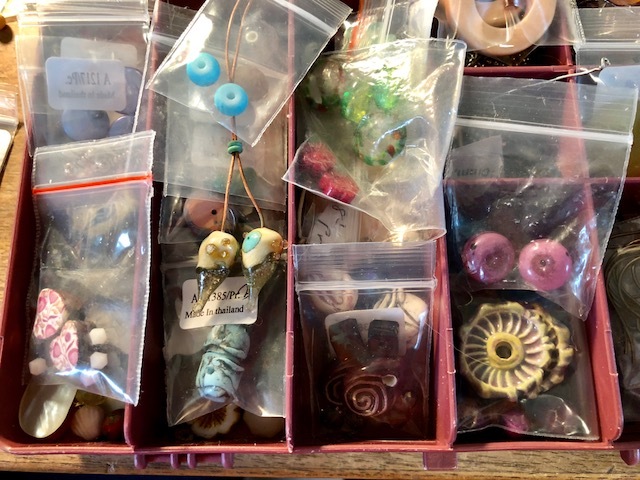 Next, we were directed to find a divided box, bin, baggies or small bowls and go through the stash on your table picking out coordinated sets that you can use to create earrings. Put these pieces together with ear wires, chain, findings, etc in each division of the box. Work quickly! Don't take too much time, just focus on filling the sections. I have a divided box that I use to store earrings components that need to be turned into earrings. I like to keep my components together in small plastic bags. I set a timer and allowed 1 hour to make whatever I could in that time. My first pair of earrings are modern red earrings. I love the casual look of the red lampwork paired with black ear wires and black jump rings. These are red earrings that are about 1 inches long from the top of the ear wire. 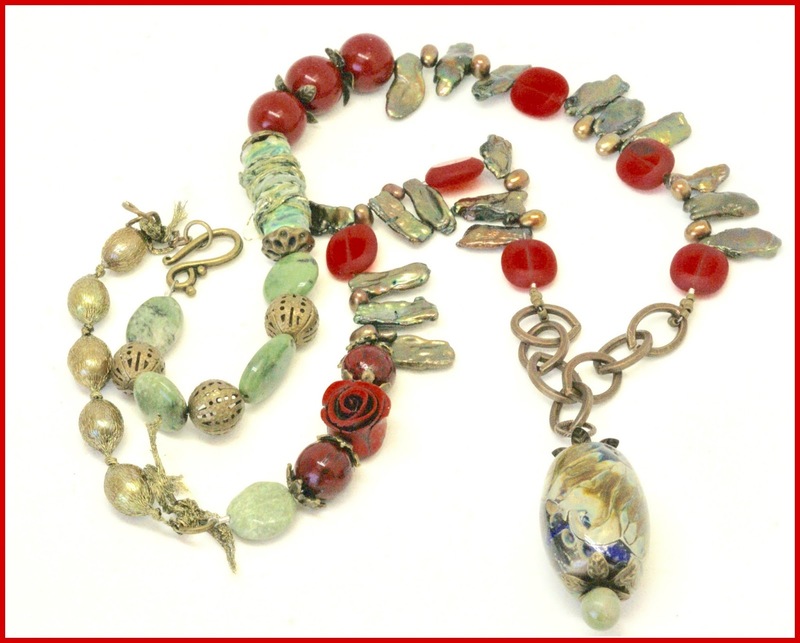 The beautiful red lampwork beads were made by artisan Sue Kennedy. I love how the glass looks in the light. The color makes them perfect for lots of holidays like the Christmas, Valentine's Day, Memorial Day. The next pair that I made are boho lilac earrings. 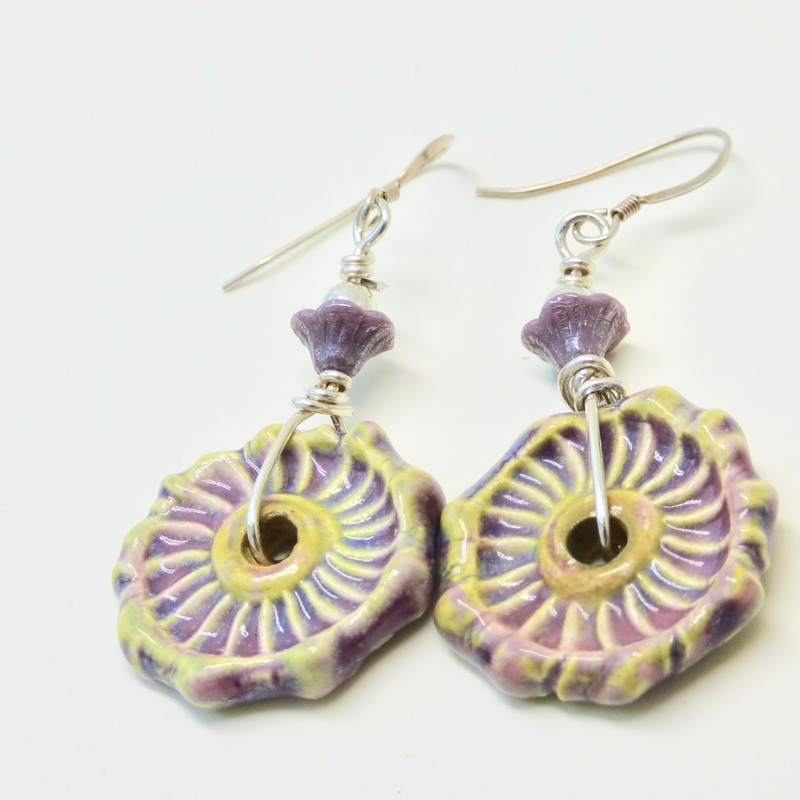 I combined lilac ceramic beads with sterling silver ear wires. These modern geometric earrings are a little over an inch from the top of the ear wire to the bottom of the ceramic. I think that they have a fun and casual look. I love how the lilac ceramics have a hint of other pastel shades. I just love the color--so hard to find. The ceramics are by artisan Marsha Neal Studio. 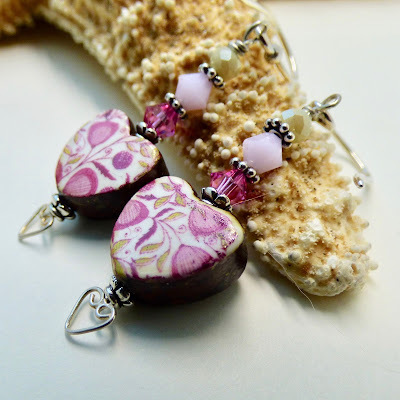 For my last pair, I paired the pretty pink heart ceramics with pink and rose Swarovski crystals and sterling ear wires. I love the sterling silver hearts that are at the bottom of the floral heart design. The ceramic hearts are by British artisan Natalie McKenna of Grubbi. These earrings are available for purchase here. 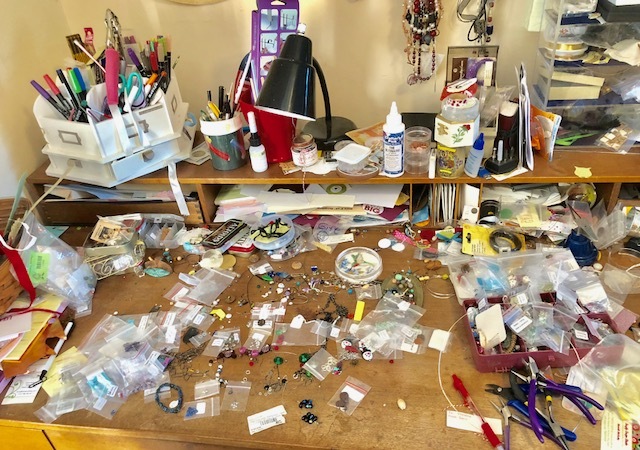 In the spirit of giving, Erin Prais-Hintz, the organizer of this blog hop is offering a giveaway of an Emergency Earring Making kit - with beads and findings to use to make multiple pairs of earrings - valued at over $40. 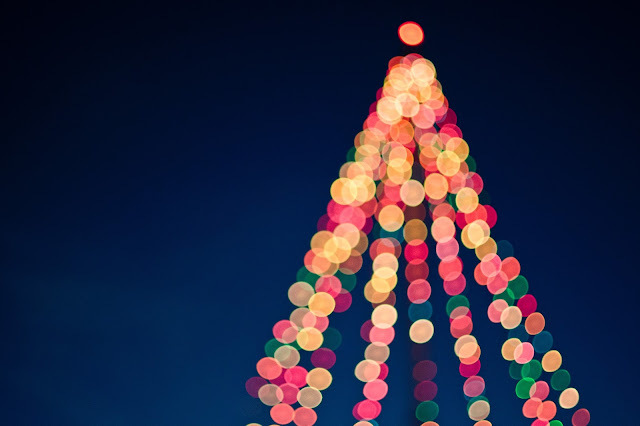 In order to be chosen, you have to participate in the blog hop starting on December 15th! Winner will be chosen at random from all eligible entries on December 25th. The LinkyTools party is open until December 25th so you have lots of time to play and visit! Let's get this leftover party started right HERE at Erin's website. Thanks for organizing this Erin. Welcome to the 7th Art Bead Scene Ornament Blog Hop sponsored by Heather Powers of Humblebeads. This is an inclusive creative challenge. Hanukkah, Kwanzaa or Winter Solstice themed decorations along with traditional Christmas ornaments are all possibilities. The idea is to have fun. Create an ornament using handmade components or art beads. I have been saving Altoid tins for a number of years. 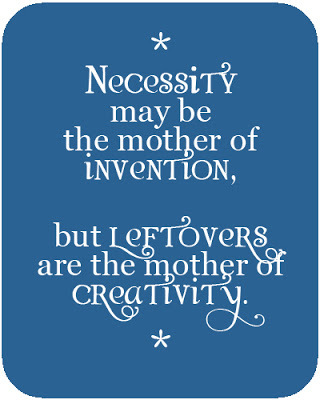 I like to have them on hand to ship delicate pieces of jewelry and I store bead mixes in them too. Recently, I had been toying with the idea of making Christmas ornaments from them. I have collected a few ideas of what other folks have done with Altoid boxes here on Pinterest. There are also several tutorials there. After gathering ideas and reading several tutorials, I decided that my Altoid tin ornament will be centered around a cute snow globe 3D sticker that I found. I have always loved snow globes. I guess that is because over the years, I received a number of them as gifts at Christmas time. I also save Christmas cards that I think are especially pretty. I went through my collection of cards and found a silver card with embossed snow flakes. I used that card as the background on the ornament and to cover the back and sides of the tin. I dug into my collection of art beads and found a turquoise ceramic with a red heart on it. 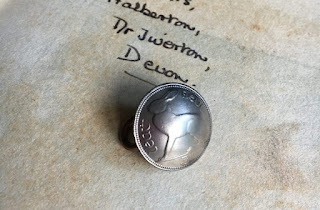 I believe it was sent as a decoration on box containing an Art Bead from Mary Harding. Her packages are so pretty! 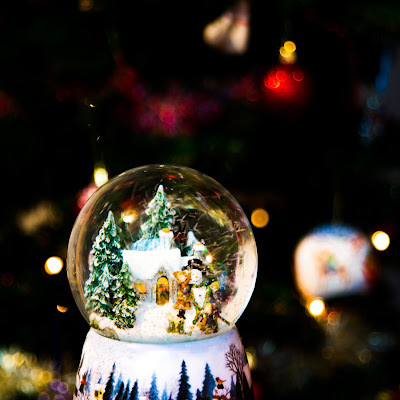 The colors in the bead matched the colors in the snow globe. I found a couple of other complimentary beads to add. I used beading wire and crimp beads to connect them. Before attaching them to the Altoid tin I used a hole punch and placed two small holes which I centered on the bottom of the tin prior to attaching any paper to the tin. I opened a jump ring and inserted into the two holes, and then closed the jump ring. This is where I attached my strand of turquoise and red beads. 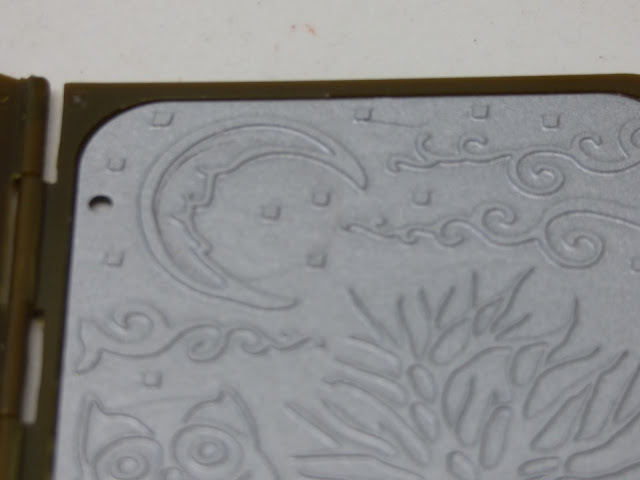 I then covered the top, bottom, and sides with the silver paper and Modge Podge. I used scraps of silver Christmas trim, snowflakes that I made from paper, wooden ivy, and added some bling. I ran a piece of red ribbon around the outside to add some more color. I plan to give one of my best friends this for her family Christmas tree. 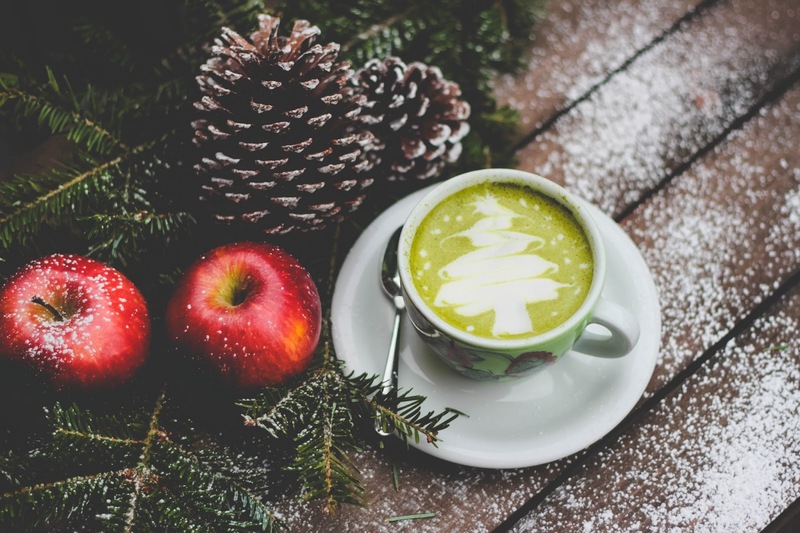 Now go and grab a hot beverage and sit back and enjoy seeing what ornament other folks made for this 7th Annual blog hop. A special thanks to Heather Powers of Humblebeads.com for organizing this. 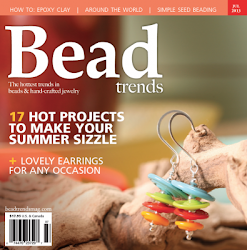 Every month the Art Bead Scene challenges their readers to create jewelry inspired by the featured artwork. 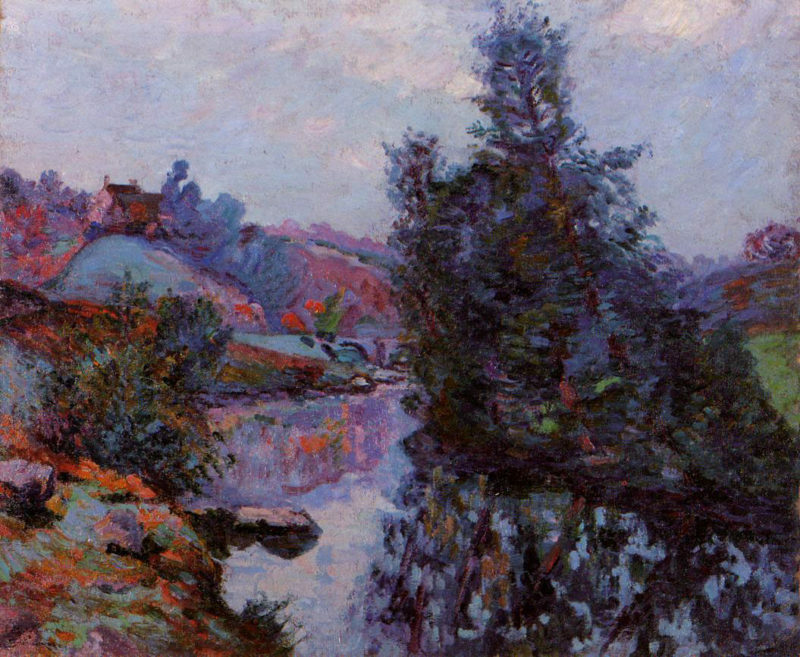 This month the inspiration piece is Crozant, The Bouchardon Mill by Armand Guillaumin. It is an impressionistic oil painting. As soon as I saw this painting, I knew that I was in this challenge. I love the subdued colors in it. It also has a lot of purple. I love purple. I have a few pendants with purple that I considered using. But one day, I happened upon Michelle Ann McCarthy's purple leaves and I fell in love with them immediately. I think they are perfect for this challenge. A few years ago, I would have stayed away from these leaves because they had those tiny wire loops in the top that I don't like to see in a finished piece of jewelry. Now, I can work with them because I mastered a few ways of covering them. One of my favorite ways to do this, I used when I created these earrings. I created 4 three jump ring rosettes. They are easy to make. Just open one jump ring and attach it to another, add a third jump ring though the center of both the first jump rings. For some reason, I have a large collection of black jump rings and I saw this as an opportunity to use a dozen of them. I knew I was bound to have the right size in this large jump ring collection. 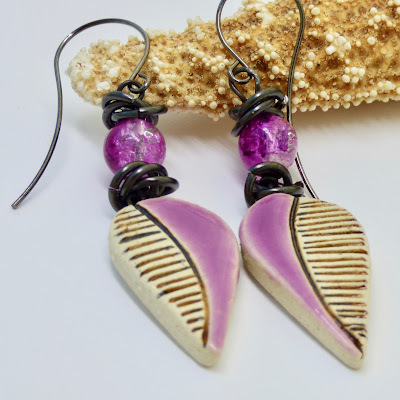 I love the purple leaf earrings that I created. The plum color in the leaves contrasts with the bold black and white part in the leaf design. 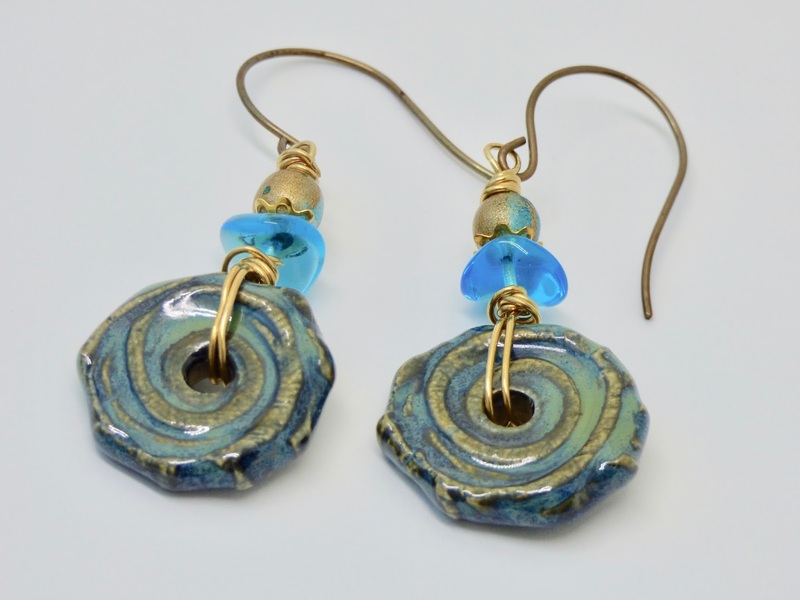 I highlighted the handmade ceramics by using blacked bronze jump ring rosettes and ear wires. I also added a round bead that is the same plum color. I am thankful for my loyal customers and I am offering free shipping from now through Dec. 20, 2017 when you spend a minimum of $20 in my BayMoonDesign shop. Just use the coupon code YULE 2017 when you checkout. You can even snag these purple earrings if you are quick! 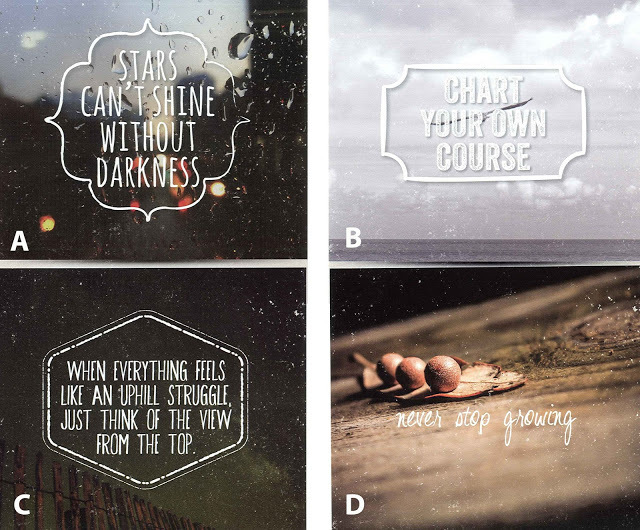 For November's We're All Ears Challenge, we able to choose at least one of these four quotes below and make a pair of earrings that illustrate the message. I love inspirational quotes so I knew I was up for this challenge. This inspirational quote says so much about life and the choices we make. You can't give up, because the result will be worth the effort. The journey is often filled with trials, obstacles, and difficulties. Getting to the top is a very special feeling. Know that your efforts in getting there will pay off. Don’t ever give up. Once you achieve the pinnacle, you will be rewarded. This quote reminds me of the times that I have been hiking up a mountain. The climb is difficult and I am tired. I start to wonder if I can reach the top. I don't give up easily so I can't think of a time when I did turn around and head back. I also remember that the view at the top on all of these occasions was worth the struggle uphill. These textured blue ceramic earrings were inspired by this quote and my personal experiences hiking. The spiral in the blue textured ceramics by by Marsha Neal Studio remind me of the struggle climbing . 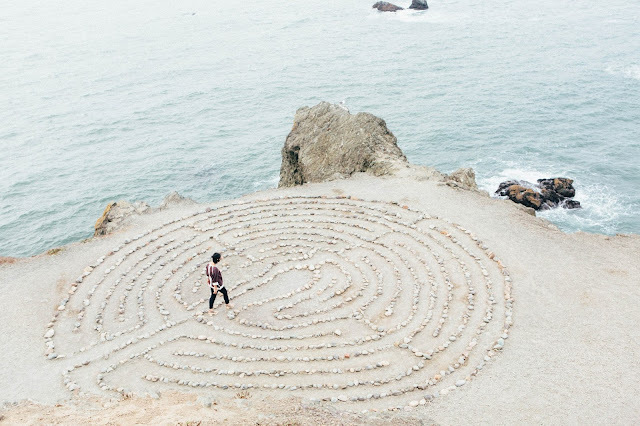 It is like being in a maze and not knowing where you will end up. Once you get out of the maze and continue the struggle up, you are rewarded with a refreshing pool of water ( the turquoise glass beads). The final view is on top of the mountain (the round) bead. It is a breathtaking view. It will be exciting to see everyone's take on the same message! 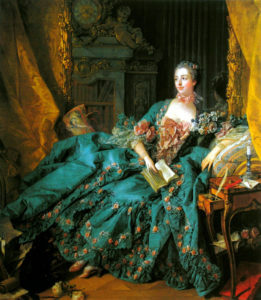 October's Art Bead Scene Challenge is inspired by Madame De Pompadour. Francois Boucher is the artist. His colorful Rococo style portrait has rich colors. Roccoco was developed in the early 18th century in Paris. Rococo artists and architects used a more jocular, florid, and graceful approach to the Baroque. I focused on the colors in the painting rather than the content. I love the light turquoise blue and deeper turquoise in the painting. For my color palette I decided to add the light flesh colors and peach colors to the blues. 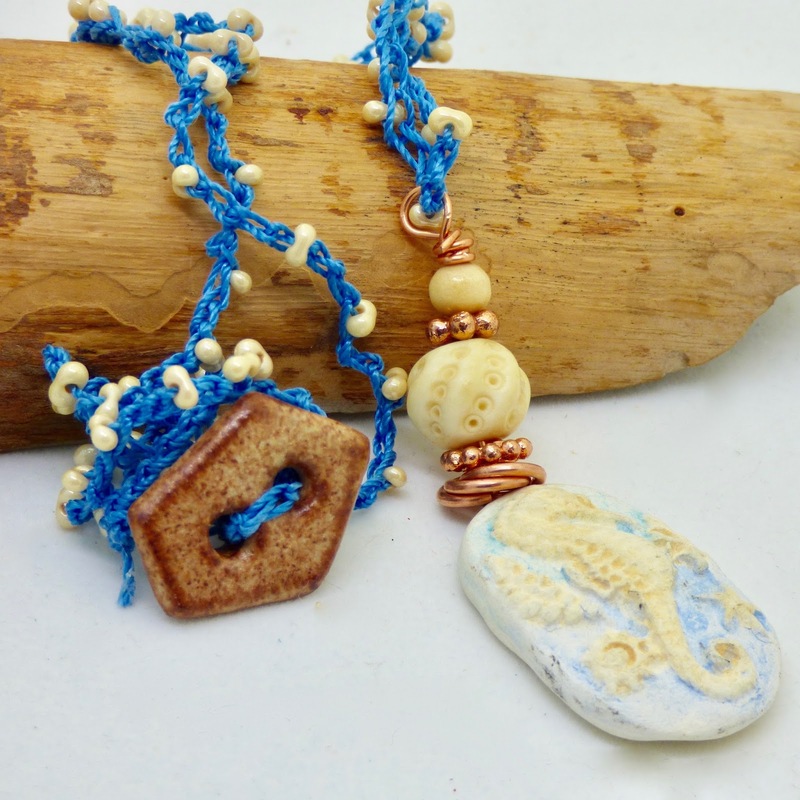 I used a lovely seahorse pendant by SheriMallery as my focal in the necklace. I then enlarged the size of the focal by combining some textured beads, copper jump rings and copper spacers. 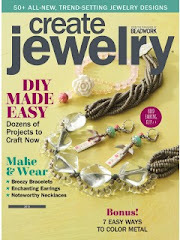 I recently watched a Heather Powers video on bead crocheting. 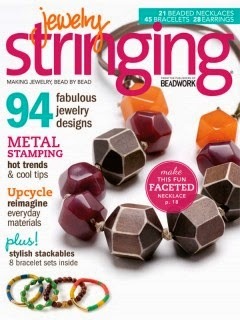 I have been wire crocheting necklaces and bracelets for years so I was interested in seeing a new style. I wasn't disappointed. Heather recommended using C-Lon .5mm or S-Lon medium weight thread and a crochet hook size 8 or 1.5mm. and seed beads. Let me tell you--it is much easier on the hands to use thread compared to wire. Right away I knew I had to get some of that thread. Heather used a bead spinner to place the beads on the thread which is genius. The key to using the spinner is to use a big eye needle with your thread to easily string your beads. I didn't know about the needle and I was never able to use the spinner effectively. It took some time to master the bead spinner, but it was worth the time investment. I have mastered it and it saves a ton of time. 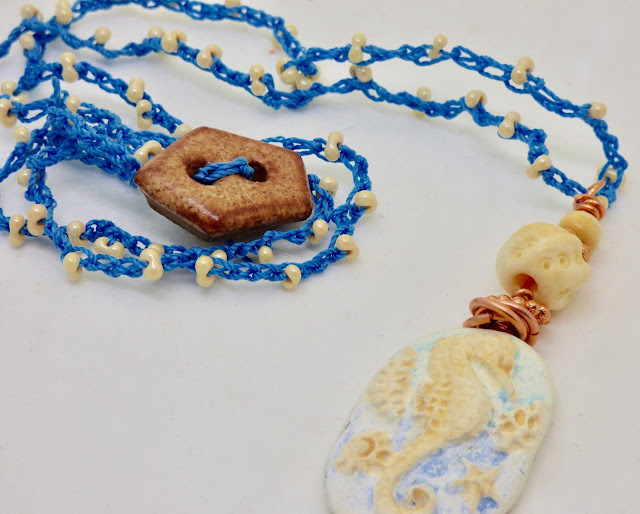 For this necklace I strung 16″ of peanut seed beads before I started crocheting. I recommend watching the Heather Powers video for step by step directions. 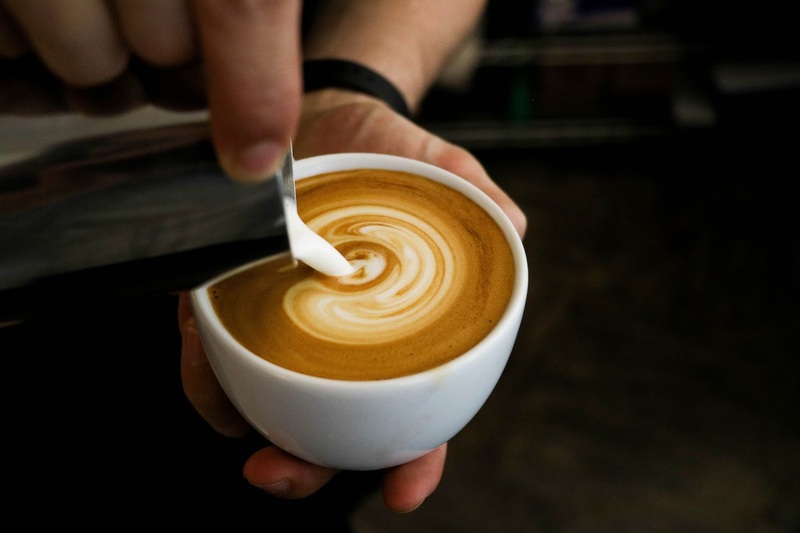 I love the technique ! Give it a try and let me know how you like it. 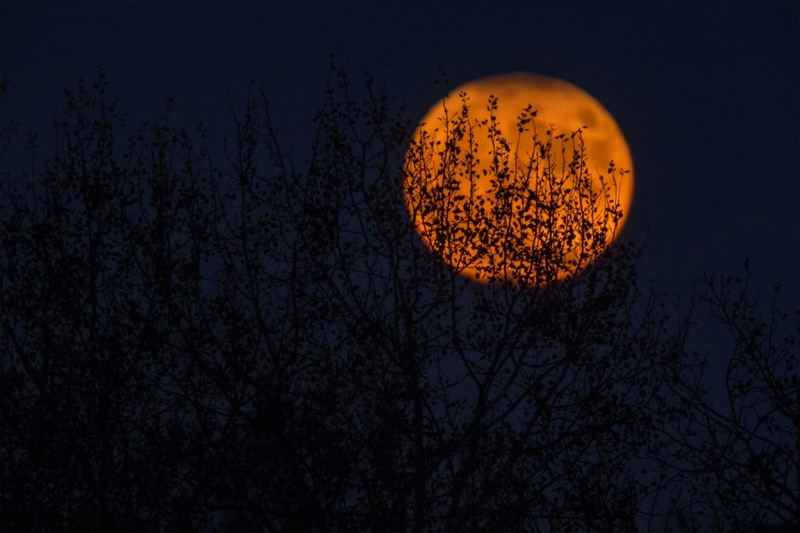 In 2017, the Harvest Moon fell in October. It is fitting that October's We're All Ears Inspiration is the Harvest Moon. "Here in the Northern Hemisphere, we call the closest full moon to the autumn equinox the Harvest Moon. 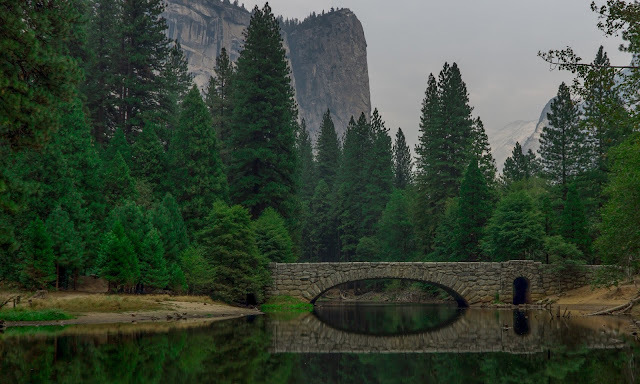 In 2017, the September equinox came on September 22. And the September full moon came early in the month, on the night of September 5-6 for the Americas. Thus, for the the Northern Hemisphere, the full moon of October 5 – the closest full moon to our autumn equinox – is our Harvest Moon." For several evenings, the moonrise comes soon after sunset resulting in an abundance of bright moonlight early in the evening. 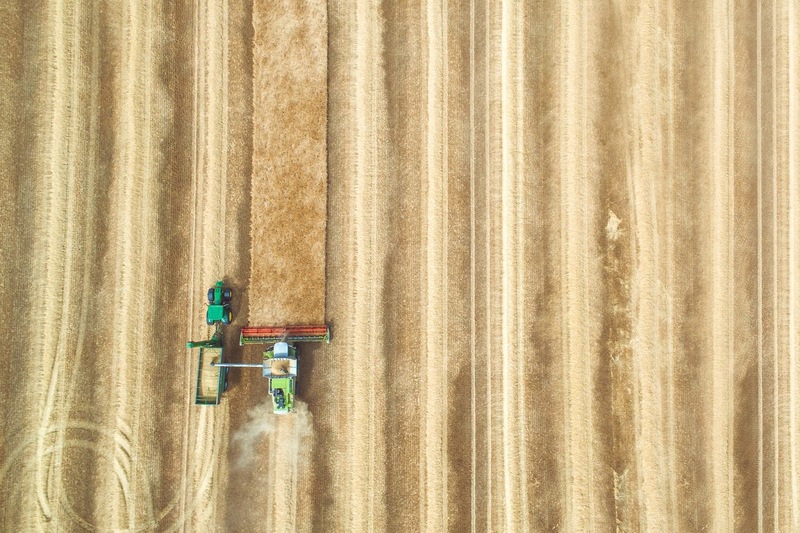 Traditionally this aided farmers and crews harvesting their summer-grown crops. Hence, it’s called the “Harvest” Moon! Additionally, the Full Harvest Moon rises at sunset and then will rise very near sunset for several nights in a row which makes it seem as if there are full Moons multiple nights in a row! The orange color is just a trick of your eyes. The atmosphere at the horizon is a greater thickness than higher overhead. The increased thickness of the atmosphere at the horizon scatters blue light in the spectrum the most allowing red light to pass to your eyes which is why the hue will appear more yellow, orange or reddish. 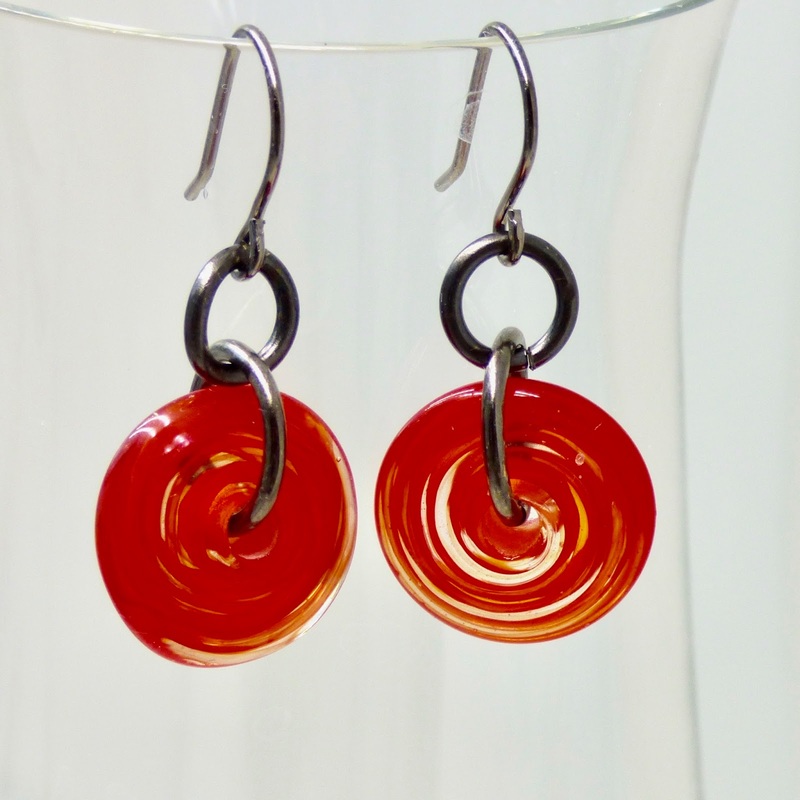 After giving it some long thought, I decided to make earrings which involve the color orange. Copper seemed like a good choice for the metal because of the orange color. I pulled out my TruePower punch and die set and a sheet of copper. 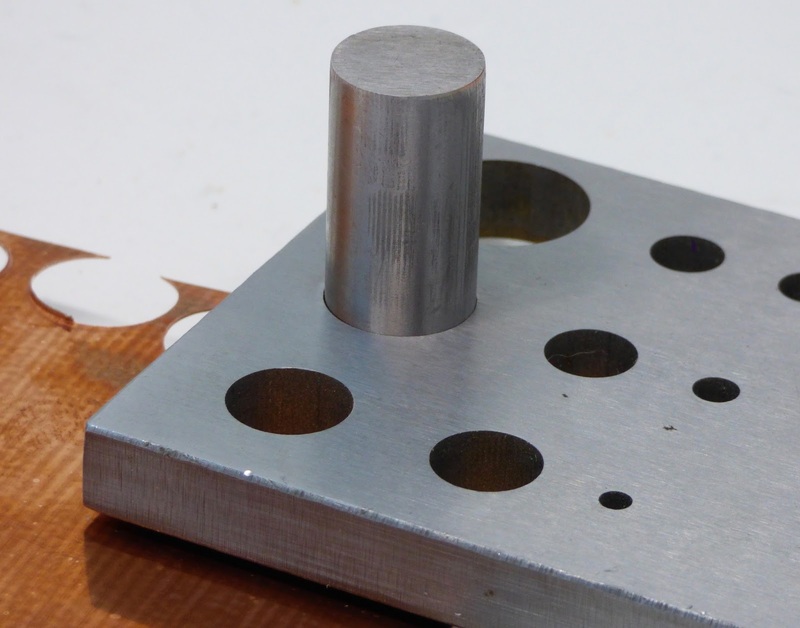 I punched out 5/8 inch round discs and filed them a bit. I then used my Stampin' Up Big Shot to emboss the discs with Sizzix Moonlit Night embossing die. I always associate a full moon with the "Man in the Moon" so I carefully positioned the copper discs to pick up that image. I then dipped them in liver of sulfur to darken them a little and bring up the image. I finished the moon by rubbing a little Renaissance wax on them. I strung orange Czech glass rondelles with camo fire polished rondelles, copper beads, on copper wire. 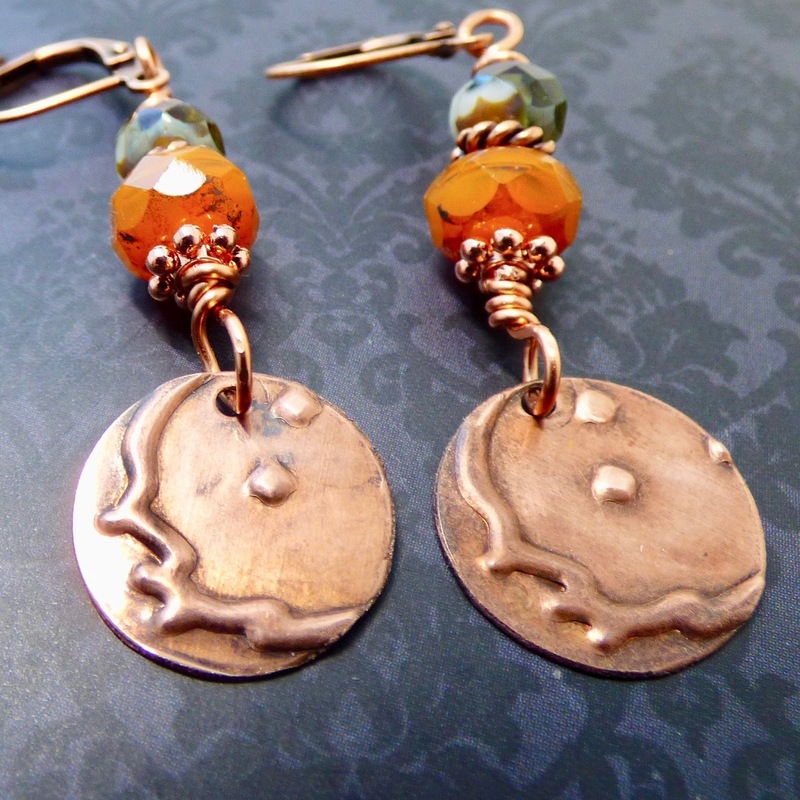 Nunn Design antique copper leverback ear wires seemed like a good choice to finish off these earrings. I am very happy with the way the earrings turned out. More of my Bay Moon Design earrings can be found at in my online shop. I will be adding these harvest moon earrings later this weekend. Now, head over to Earrings Everyday reveal post to see how other artists were inspired by this month's theme. I know I'm looking forward to it. 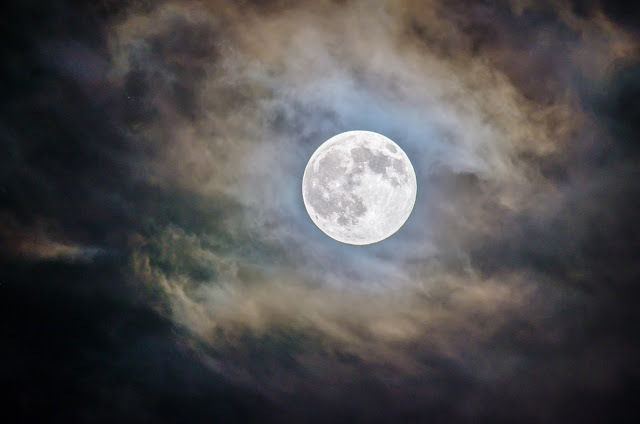 Did you know that the Hunter's Moon, which is the first full moon after the Harvest Moon and will set the sky ablaze on November 3rd and 4th is a supermoon. This means that it will be even closer in orbit to the horizon causing it to appear HUGE! I am planning on view it. How about you?